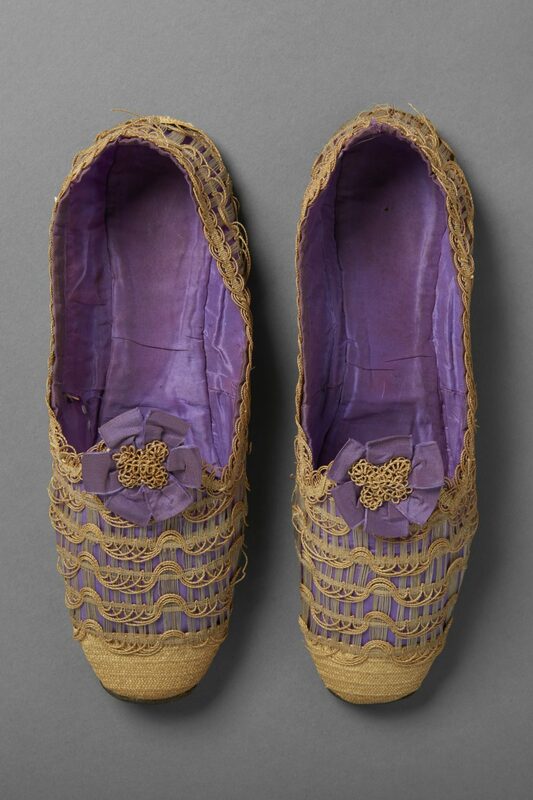 These delicate shoes have been made of straw and horsehair, also known as crin, intricately woven into curvilinear patterns over a mauve silk lining. This technique was commonly used in millinery during the middle years of the 19th Century, and it has been suggested that small items such as shoes utilised surplus supplies from the hat making industry. 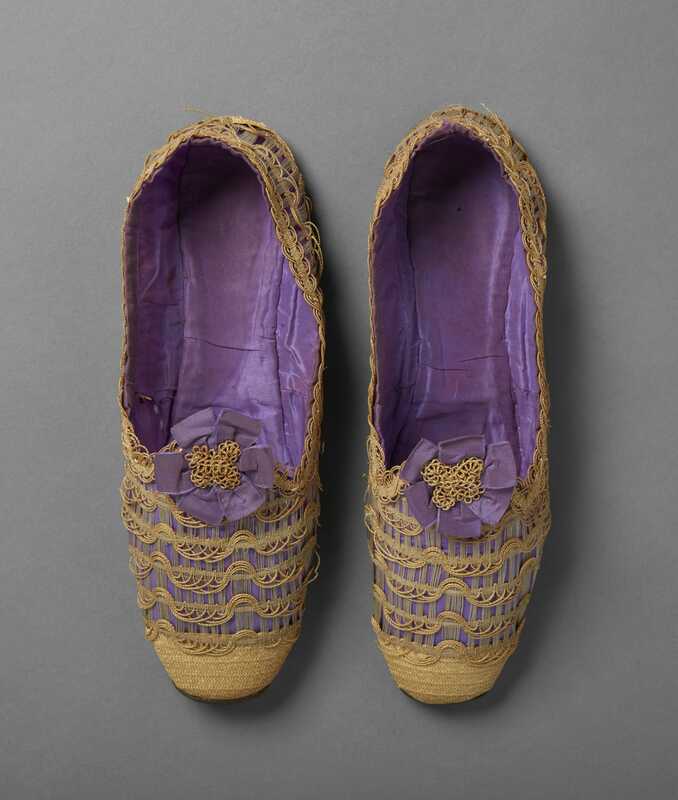 The shoes follow the style of more practical contemporary examples made of leather or silk, with their blunt toes and completely flat soles cut without differentiation between left or right (The silk lining does, however, show a small amount of shaping for each foot). Similar surviving examples, such as those in Chertsey Museum http://chertseymuseum.org/search_collection?offset=15925&item=15935 and the Kyoto Costume Institute https://www.kci.or.jp/en/archives/digital_archives/1820s_1840s/KCI_076), indicate that the small ribbon rosette with a decorative straw centre was characteristic and suggest that shades of red silk were particularly favoured for the lining.